A city committee on Tuesday endorsed a deal that would give a developer $103.3 million in public money over the course of more than two decades to open hundreds of hotel rooms next to the Los Angeles Convention Center. Developer Lightstone Group wants to build two towers at Pico Boulevard and Figueroa Street and fill them with 1,130 rooms operated by three brands: AC Hotel, Moxy Hotel, and Hilton Garden Inn. But, due to the high costs of “concrete and steel high rise construction,” it has a $67.4-million financing gap, according to real estate advisory firm Keyser Marston Associates. The firm says the public money, adjusted for inflation, would fill that financing gap. 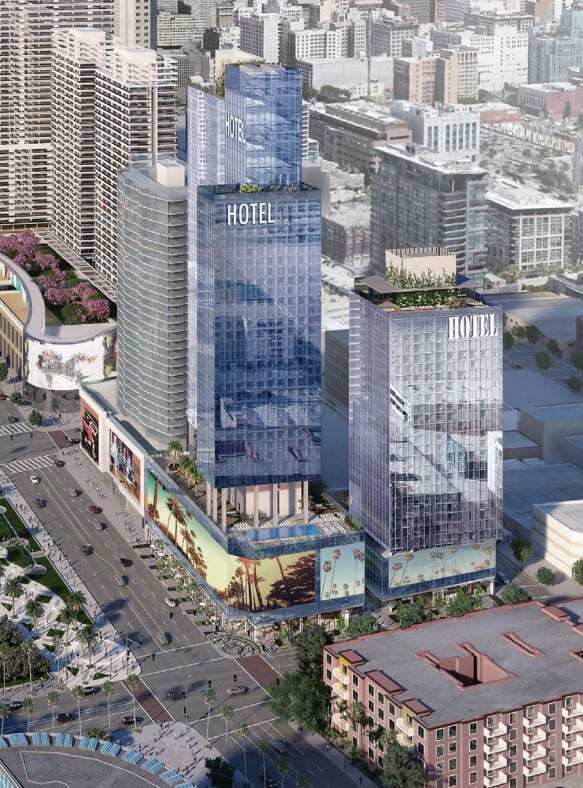 Los Angeles City Councilmembers are eager to get hotel rooms built near the convention center, and it appears they’re willing to loosen the city’s purse strings to make it happen. There are about 5,162 hotel rooms within walking distance to the convention center, far short of what’s offered in San Diego and San Francisco, according to city estimates. 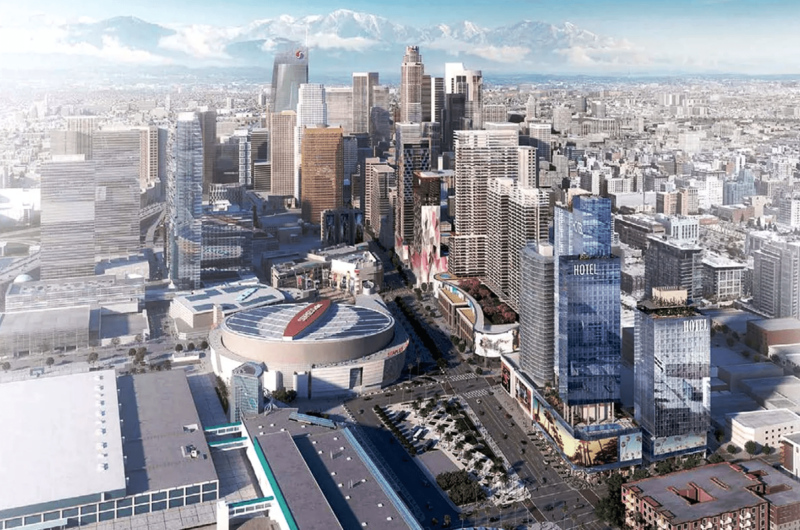 “This is a severe impediment to business coming into the city of Los Angeles,” says John Wickham, division head in the city’s Chief Legislative Analyst’s office. The financial assistance would come in the form of tax rebates. Under the draft deal recommended by the legislative analyst, the city would give Lightstone a cut of its tax revenue generated by the rooms over 25 years, up to that $103.3 million amount. The hotels are projected to generate $488.2 million total in that time, according to Keyser Marston, the firm hired by the legislative analyst to determine whether the developer needs a financial aid package. It’s estimating the city would end up with $384.8 million in revenue in that period, after Lightstone took its cut. As of the end of June, Lightstone had spent $477,808 lobbying the City Council, chief legislative analyst, and planning department to bring the project, dubbed Fig+Pico, to fruition, according to reports prepared by the city’s ethics commission. 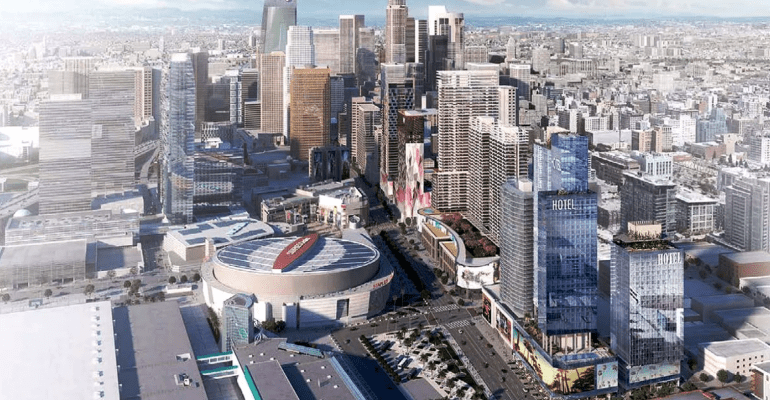 The Los Angeles Times points out that the city has also given public money to push forward the Wilshire Grand, L.A. Live, and other Downtown hotels. If the city ultimately approves the deal and plans for the project, construction on Fig+Pico would begin in the first half of 2018 at the earliest. The Gensler-designed towers would rise to 25 and 42 stories, replacing a parking lot and two restaurants, Hooters and El Compadre. The deal also includes selling a 18,811-square-foot, city-owned parcel to Lightstone for $9.6 million. It cleared the Economic Development Committee on Tuesday and now heads to the City Council on Friday for approval. Continue Reading the original post on LA CURBED.com or by clicking here.